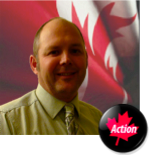 Proud leader of the Canadian Action Party. Dedicated to Canadian sovereignty and the best interests of Canadians. Goto http://t.co/VgUVCwaROS for more info!